Yvie Oddly is the oddball of RuPaul’s Drag Race, America’s ultimate drag competition. Loved by millions of viewers around the globe who regularly tune in to witness drag goddess RuPaul judge a selection of hopefuls as they dance, lip-sync and model their way through competition, the show has grown to become a worldwide phenomenon. Bringing a inimitable sense of originality and eccentricity to every performance, Yvie Oddly developed her unusual aesthetic while performing in Denver, Colorado’s local drag scene. The legend is that Jovan Bridges was so inspired by the common perception of her performance style as ‘weird’, so she deliberately chose a name that was “even odder than everybody else’s”, reflecting her outrageously unique spirit. 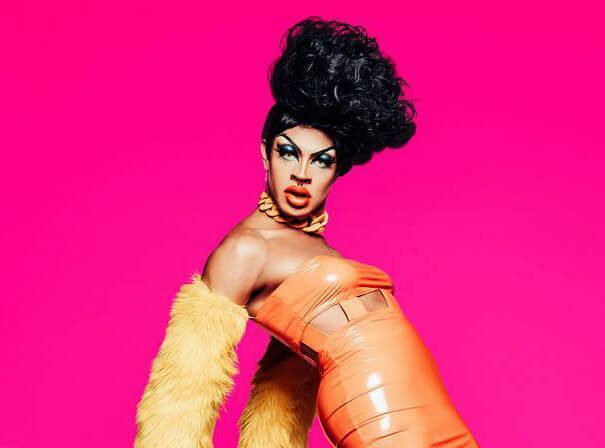 This exceptional drag queen has been captivating fans of RuPaul’s Drag Race throughout its 11th season, leading many to proclaim her a front-runner with a genuine chance of taking home the crown: RuPaul herself even admitted that “no one else is doing what Yvie Oddly is doing.” Her cerebral, surprising and bold approach to performance pairs jaw-dropping theatrics with conceptual artistry, trading glamour and glitter for boundary-pushing individuality, earning her the title of “shock queen”. This revolutionary queen has to be seen to be believed: her energetic live shows combine stunning drag performances that feature her unbelievable and unconventional looks, lip-syncing, comedy and audience interaction.